Since England first issued postage stampsthe famous "Penny Blacks"in 1840, only five special issues have ever been printed. It is singularly gratifying to the Fraternity that the "Victory Issue" put on sale last June in Gt. 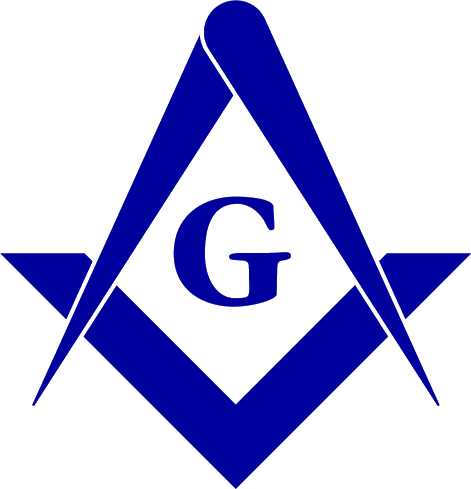 Britain contains much of masonic interest. The 3 penny denomination of the Special Issue, illustrated herewith, displays several masonic symbols with unmistakable prominence. H.M. the King chose the design himself from several submitted to him for the commemorative Victory Issue. The dominating feature of the three penny stamp is the face of King George VI surmounted by a crown. Significantly, if the stamp is properly oriented, as a map with north to the top, the King is in the east. In the centre flies a dove carrying the olive branch, from time immemorial the symbol of peace. It is a familiar emblem, being found on the wands and collars of the Deacons. Brotherly love amongst men is symbolized by the juxtaposition of the square and compasses. The former reminding us "to act on the square," and the latter "to keep in due bounds with ail mankiind. The compasses are at an angle of 45°, one point above and the other below the square, the position of Fellowcraft. It should be noted that the older form of square is portrayed, this type is seen particularly in connection with the Masters jewel, also that of the Past Master. The two arms are of unequal length and represent the Greek letter "G" or "Gamma," denoting "God, the Grand Geometrician of the Universe." The presence of a trowel and portion of a brick wall are not without significance, both in the operative and the speculative sense. While the trowel is not now recognized under the English or Canadian constitution, it is an important symbol in the Scottish and the American Craft, emblematically spreading the cement of brotherly love among mankind. Also cleverly depicted in the curlicue engraving are five Ys denoting the 15 Fellowcrafts associated with the legend in the English work. The other symbols are surrounded or nestled and protected by this emblematical group. The Freemasons Chronicle of London, states: "It is singularly appropriate that the message thus conveyed by these emblems should be found, one may be almost permitted to surmise with purpose aforethought on the part of our M.W. Brother, the King, Past Grand Master, on the 3d. issue of the new stamps, used only for postage to foreign lands where the full significance of these emblems may not be lost, and the need for their reminder have greater force." Reynold Stone, a descendant of Sir Joshua Reynolds, the celebrated portrait painter, is the designer. Although a relatively young man he achieved a degree of fame for his engravings of the Royal Coat of Arms for the Coronation Service. Of interest to stamp collectors, the photogravure process was used for the Victory Issue. They are printed on special paper supplied by the firm making paper for the Bank of England notes. Only 24,000,000 of the 3d. have been issued. Post Office officials expect the issue to last about two months, after which no fresh supplies will be printed. After World War I, several "Peace" or "Reconstruction" issues were printed. The 25 mark German Republic stamp of 1919 depicts a trowel and bricks similar to the English 3d. King Solomons Throne was featured some years ago on an Abyssinian stamptheir "King of Kings" claims direct descent from King Solomon and the Queen of Sheba. Many other issues of more obscure symbolism can be found by keen philatelists. The appearance of masonic symbols on a postage stamp in such a distinctive manner must surely be without precedent, and from this point of view the 3d. English "Victory Issue" is perhaps the most interesting stamp ever printed. "The stamp was designed by a Mr. Reynolds Stone (a descendent of the painter Sir Joshua Reynolds, but not a freemason). It was one of a number of designs submitted to H.M. King George VI when it was decided in 1946 to celebrate the ending of the second World War and the beginning of a necessary period of reconstruction. Hence the designer used the Dove of Peace (a time immemorial symbol) to symbolise the coming of peace; the trowel and brick wall were to symbolise rebuilding; the square and compasses (the implements of architects and planners) were to symbolise planning for the future. The curly scrollwork, rather than representing a chain of figure threes or the F.P. of F. is simply the artist's device to unify his design. Similarly, the arrangement of the square and compasses is not connected with the F.C. but is an artists/designer's arrangement of those implements well known in a non-masonic context, where the device has appeared on books, maps, charts and pottery since the seventeenth century. It is impossible to state whether or not the masonic symbolism which it is possible to read into some of the design had any influence on His Majesty when he chose the design. "At the time of the issue of the stamp the King was not Grand Master as, like his predecessors, he resigned all masonic offices on his accession. In 1936 when he succeeded his brother he was Provincial Grand Master for Middlesex, England, and Grand Master Mason of Scotland. He was invested as a Past Grand Master of England at an Especial Grand Lodge held on 30th June 1937 in celebration of his coronation". Excerpted from correspondence received by M.W. Bro. D.M. Taylor from Bro. T.O. Haunch, Librarian and Curator, United Grand Lodge of England, printed in Masonic Bulletin, vol. xli, no. 1, September 1977, p. 7.